One of the primary reasons for avoiding probate is that it has become very expensive. In Missouri, for example, the fees for probate are a percentage of the estate, as prescribed by State law. If a person has a $1 million estate that goes through probate in Missouri, the fee is 5.3 percent, or $53,000. If probate is avoided, the fees families pay for any services that are needed in administering a loved one’s final affairs, will more likely be commensurate with the value of the service being provided. Another reason to avoid probate is that the process generally takes an extended period of time. Depending upon factors such as the size of the estate and various other circumstances, probate can take anywhere from 6 to18 months or more. During that period of time the estate assets remain in limbo and often under the control of a probate judge instead of the family. A third benefit of avoiding probate is that probate, like any other court proceeding is a public record. Once the probate process begins, an inventory of all of the decedent’s assets has to be filed with the court with very detailed information, including account numbers and dollar amounts, all available for public inspection. You certainly wouldn’t tell your nosy neighbor what you have while you’re alive, but with probate, they are free to see it when you die. 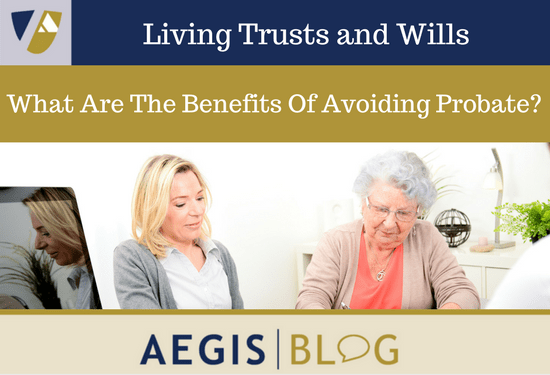 In this day and age where privacy, given the Internet and everything else, has been placed at a premium, for many people, keeping their assets out of the probate process and keeping their financial affairs private within their own family is a very high priority.